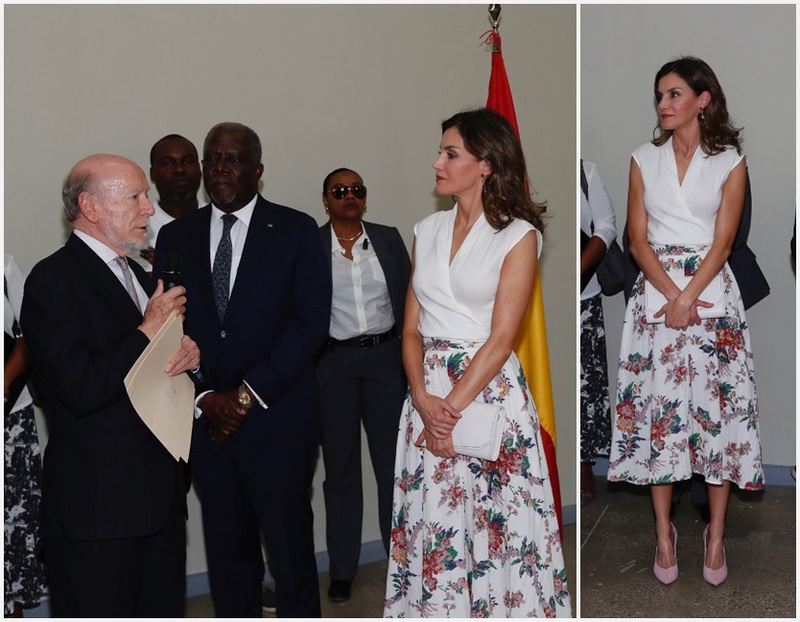 Queen Letizia attended the inauguration of the 13th International Seminar of Language and Journalism yesterday. I saw the top half of this first and thought it seemed awfully tame for her. 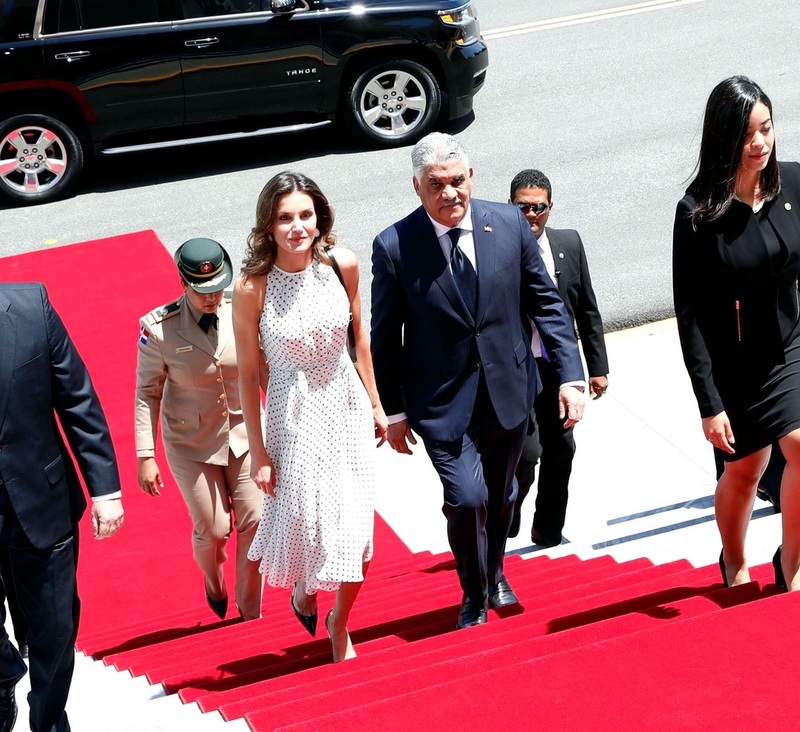 Lacking the Letizia touch, if you will. Until, of course, I saw the whole thing, and there it is. It works. 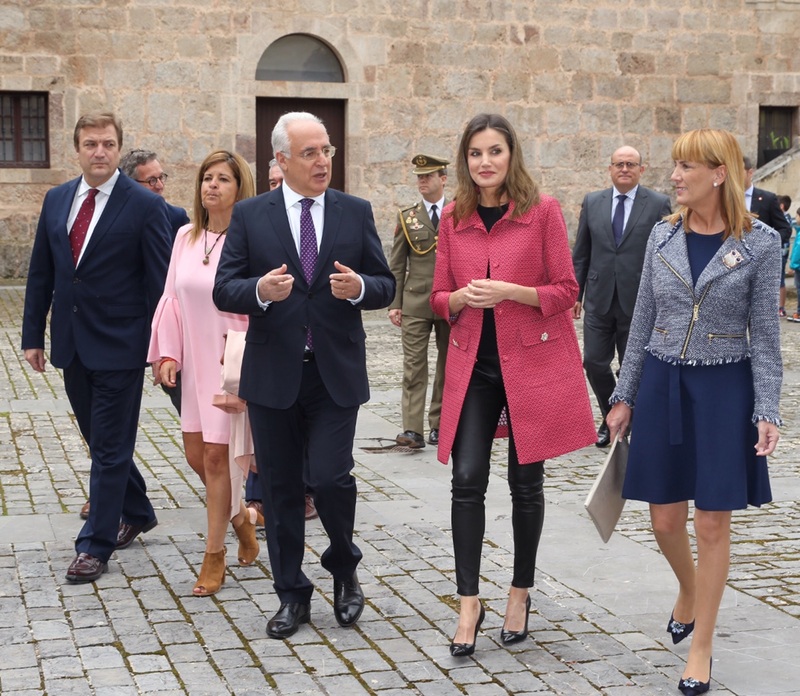 The Spanish royals attended Armed Forces Day on Saturday. This coat gives me a toothache, it's so sweet. Too sweet for her. Except I think she could get around that if she shook up the styling a bit; so far, we've seen this Carolina Herrera coat twice and both times she's worn it like this, like a dress with these pink heels. I'd nix the pink shoes, for a starter. Queen Letizia visited the Dominican Republic and Haiti last week. This is my second favorite outfit from this trip. This is where those pink heels shine. And finally, my fave from the trip - and, really, my fave from all of her recent offerings - is a great polka dot dress. You can never go wrong with a great polka dot dress. From Carolina Herrera, natch. Extra points awarded for twirl-ability.